I'm so inspired by the blog of Elsie Larson called A Beautiful Mess. It's full of fashion tips, recipes and stunning photography. 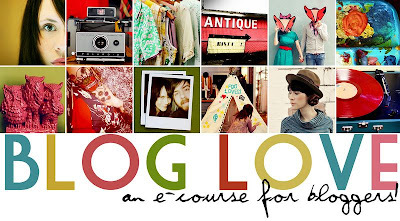 One of my birthday presents was her e-course, Blog Love. I devoured it! So much information. She shares in such an easy way and her tips were just what I needed to hear. She helped me remember my blog's purpose. I don't know that I'd ever completely defined it, but when I answered her questions, it was obvious and gave me a renewed sense of vision. She showed me new ways to connect with others. I find myself going back to what's familiar and miss out on meeting new people; after reading, I stepped out of that box. She helped me understand how planning can change the way I blog. I feel relieved to have a better system now so I can share more completely from my life and heart. I highly recommend this course; whether you want to identify your purpose, learn how to network/market, or just brainstorm fun topics for posts--this is a course you'll take tons away from. And check out her blog, you won't be disappointed! I agree with you, that it's important to know our blog's purpose. I started my blog with a clear focus on learning and living our passions, and that focus has really helped me to develop the blog's content, as well as connect with a great group of fellow bloggers. Thanks for visiting my blog Catherine! n thank you also for sharing ¨abeautifulmes¨ blog, really interesting. i love her blog! she always has great stuff! How interesting. I'll check it out. 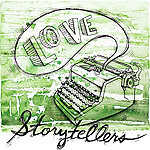 I do love the beautiful things you already bring to your blog. I also agreed and your post is really so interesting. glad you took her ecourse. she is a gem! I love Elsie's blog too! She is so talented, and it's obvious how much work she puts into it, although somehow she makes it look so easy. I didn't know she had an e-course--I will definitely have to check it out! I'd never seen her blog before, it looks lovely, thanks for the link! Also, very nice write up, thank you. That post sound interesting and really amazing thanks for posting. Interesting post thanks for sharing with us. That is really awesome when i read your post thanks for posting.